The new for 2011 Apple iPhone is the iPhone 4S. It is an upgrade of the 2010 iPhone 4 with a the A5 chipsetwith a dual-core Cortex-A9 CPU and PowerVR SGX543MP2 GPU, improved battery life and a larger 8MP with a F2.4 aperture and better low light performance camera. The dual core processor brings 1080p video recording to the iPhone 4S. A new storage option will be available, with 64GB option joining the 16GB and 32GB versions. 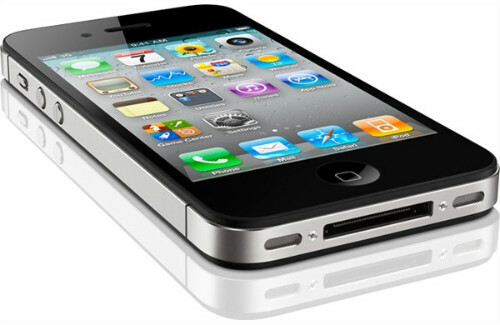 The iPhone 4S will come in black and white color versions. Okay, it is not the massive update people where hoping for but it is a solid upgrade. Remember, no one has a dual core processor in a phone this small. That is a pretty impressive technological achievement. But we cannot deny that it is a bit disappointing. Many were hoping for a larger inch screen, and 4G or LTE. With the absence of 4G or LTE I am pretty sure we will be seeing the next iPhone much sooner the 12 months from now. But, don't forget the iPhone 4S (as well as the 3GS and 4) get iOS 5, which has many significant improvements. Oh, and Apple finally fixed the antenna. There will be cheaper iPhone though. Apple is retaining the iPhone 3GS and adding a 8GB iPhone 4 in their line-up.